Create Home DVD discs out of AVI files with Xilisoft AVI to Home DVD Converter; convert and burn AVI, MPEG, MPG, M2V, DAT and VOB formats to Home DVD movie, Home DVD folder or ISO image. This AVI to Home DVD burner includes additional video editing features: clip unwanted parts, add audio tracks, watermark and subtitles, crop image size. Create customized Home DVD menu with custom background music, picture, and menu topic. 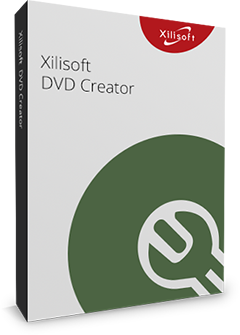 Try Xilisoft AVI to Home DVD Converter now and start making your own personalized DVDs! Convert and burn AVI, DivX, MPEG files to Home DVD with a high speed. Create customized Home DVD menu. Burn DVD-Videos, Home DVD folders or ISO image. Create custom DVDs with audio tracks, subtitles, video clips and effects. Convert and burn AVI, MPEG, DivX, DAT, VOB files to DVD in high speed with just a few clicks. Not only burn DVD movie disc, but also create DVD folder and ISO image file. Choose from a wide range of menu templates to create your very own DVD menu. And the menu templates can be downloaded. 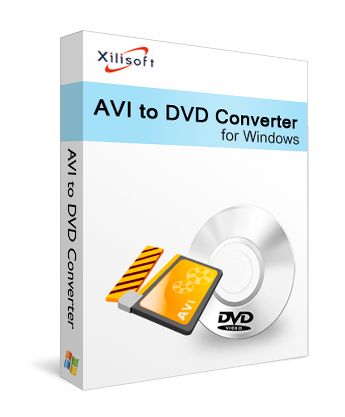 Xilisoft AVI to DVD Converter can convert multiple files at the same time. It processes file-conversion by multithreading and multi-core processing; it simply means it converts and burns files faster than most AVI to DVD converters. A selection of menu templates is available for you to choose from to help you create a menu promptly. Allows you to add background pictures, music, topic and opening film to create a more customized DVD menu. And the menu templates can be downloaded. Attach a video or picture thumbnail to each title for the DVD menu. This AVI to DVD converter tools allows you to set the DVD to skip the DVD menu and play the main movie right away. Provides the option to clip the video file to extract wanted parts and merge them together for burning. Edit video by cropping video image size, adjusting video effect, and adding text or picture watermark. Add multiple subtitles into a video, and set subtitle font, position, subtitle delay and default language to create a multi-subtitle DVD when converting AVI to DVD. Add multiple audio tracks into a video, and adjust volume, set audio delay, and choose loop option to make a multi-audio DVD. This AVI to DVD burner makes it easy to compare the original and edited videos side-by-side with the built-in player. Add chapters under each title at specified intervals. Include television standard, video/audio quality, aspect ratio, resize mode and so on. Set an action (hibernate, shut down, exit or standby) to auto perform it after conversion is done to minimize waiting and save time. Conveniently preview the video file to be burned in the smart built-in player with adjustable window size. 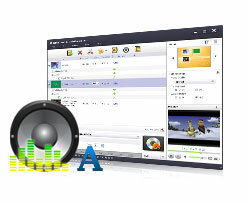 English, German, French, Chinese and Japanese are provided in Xilisoft AVI to DVD Converter.